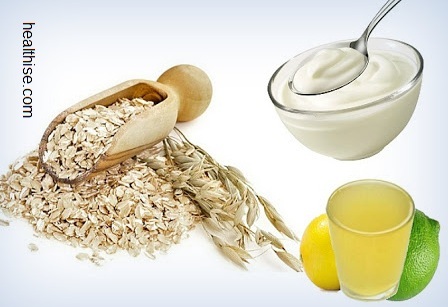 and lemon juice face mask that helps reduce the appearance of culprit dark spots and slough off dry, unwanted skin. You will achieve a fresher look with the lemon juice because the lemon juice is a natural cleanser. 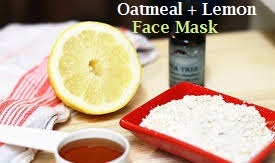 Because lemon juice is also a natural anti-bacterial, this mask will help you if you are struggling with acne as well. 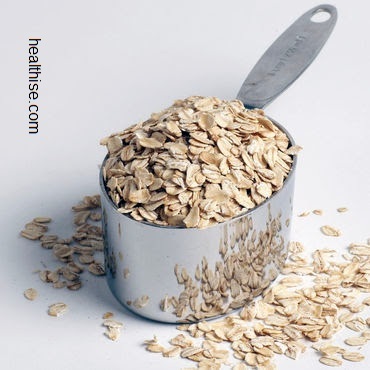 Process the uncooked rolled oats (in a blender) so that you can create a paste that is to apply to your face. Once you’re done, add a few drops of lemon juice at a time so that you can regulate it and use just enough to create a smooth paste. or warm water. Rinse thoroughly. Enjoy smoother skin!